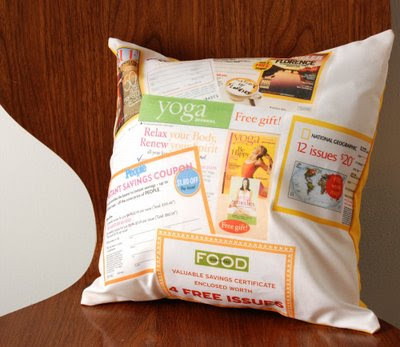 I'm excited to announce that I just released my new line of Subscription Pillows today on my Etsy Shop. 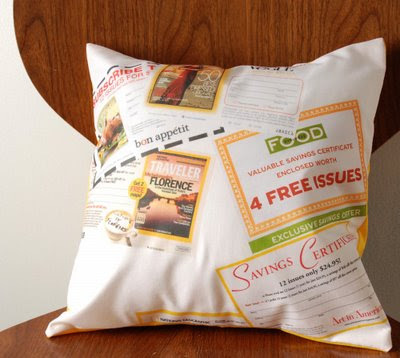 The Subscription Pillow collection is inspired by everyone who tears out those pesky little magazine subscription cards that always make for more complicated page flipping. 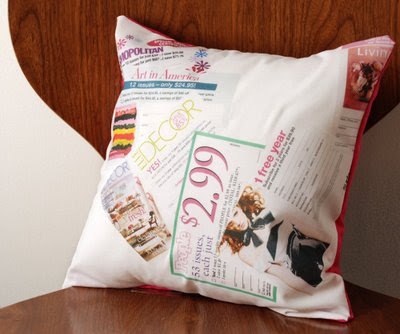 Just toss this pillow on your cozy reading chair, sit back, and flip away with your favourite mag. March 06, 2009 by Hey There!